You know the value of health. You never buy the toxic, industry standard health & beauty brands. You buy the best natural products for your face, body, and hair. You do your homework and know the value of being healthy. You Respect and Love All Animals. You avoid products that contain any animal-based ingredients. You shun companies that harm any animals for product testing. You wholeheartedly share the world with our animal friends. You Vote With Your Money. You never compromise on your body care needs when better, safer options are now available. You expect integrity, respect transparency, and demand quality in a business or product before parting with your hard-earned cash. We demand and include only safe natural ingredients in our products. We respect, believe, and share in your healthy choices. We would Never test on animals. We test only on ourselves. We’re 100% vegan & cruelty-free PETA® and Leaping Bunny® Certified. All Natural Ingredients, Cruelty-Free Business Practices, and Unshakable Integrity are the Foundation for Henna Color Lab®. 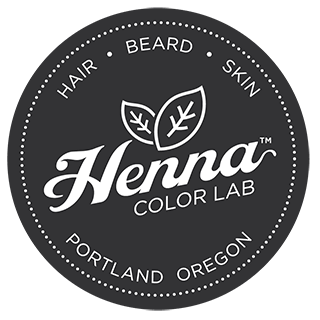 Henna Color Lab® is a mixed bag of impassioned Portland (Oregon) health nuts, cruelty-free advocates, and natural coloring enthusiasts. We believe in our products and research tirelessly for great, all natural ingredients. Late night experimentation(alchemy), gallons of intense coffee, and copious note taking eventually yield some great ideas. In Portland we research, formulate, design, package, manage, and ship our products. From product labels to shampoo bottles to packing materials, it all comes from within a 20 mile radius. We strive to keep everything locally driven and operated. All employees live within 10 miles, make livable wages, and help sustain the local, tight-knit pulse of our company. We source our raw coloring ingredients & herbs from the only native place that they grow sustainably & abundantly: Northwestern India. Our preferred henna crops and natural herb harvests are natively grown in India. For generations, thousands of years, Indian farmers have grown henna and essential herbs for hair and skin dyeing. From ancient spiritual rituals to modern beauty essentials, they provide the local people with all their natural dye needs. They’re master farmers and expert artisans at all things henna. So we did some intense homework: There are many henna farmers in India; every region and city has slightly different henna color variations and quality standards(color can vary from the following: latitude, sun exposure, rainfall, and soil pH). And we had to select a team that mirrored our same core values: High Quality, Transparent, Ethical. After many samples, performance tests, emails, phone calls, transcontinental flight, and time zone changes—we found a great team of farmers in Northwestern India (the state of Rājasthān). Despite our 12.5 hour time difference, we always find a way to reach out and discuss business…(sigh) sometimes even at 2 a.m.—hey, whatever it takes. Our regular ordering cycles enable the farmers to strategically grow, harvest, and profit from their hard work; we benefit by having the best henna and herbs that money can buy; everybody wins. We work hard with our supplier to provide jobs in their local communities. Stable relationships allow farmers to plan and organize product cycles. This empowers them to hire local employees that assist with the abundant, regular harvests. Everyone can make livable wages and contribute to a larger picture for their future. We’re a global team, all working together. That’s the best part, and it feels great. We’re all working together to be part of the change in personal hair care products. And while we tackle our passion and invent some great healthy stuff, we’re helping our community by providing jobs and tossing money back into the local cycle. We source All our shampoos, conditioners, bottles, packing materials, and labels in Portland. The whole team works very hard to keep the community engaged and the local culture alive in the daily biz activities. It feels good helping the world by remaining steadfast with ethical business practices and throwing our ALL at it—day after day. We’re seeing the difference from our hard work: wonderful testimonials pour through the office and repeat business is thriving. In India, we team up with award-winning henna/herbal growers to cultivate the purest, best all natural raw ingredients. In Portland, we research, formulate, design, package, manage, and ship our superior products. Your expectation of Quality and Integrity led you to us and we’re super thankful! We put our best into it…so You get the most out of it™.